Easy Access To I-20. Owner Allowance For Updates. MLS#8509725. Lee Staples Realty, Inc..
Beautiful As It Is With Lots Of Charm Or Make Changes To Your Own Desires. MLS#8508835. Keller Williams Realty Ame. Receive Up To $10,000 Buyer Bonus* Blinds, Fence, & 1St Yr Hoa Paid Close By 6/30/2019. 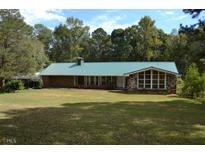 Minutes To I-20 MLS#6119329. On Point Realty, Inc..
Rockdale County Schools. Pictures Of Similar Model. MLS#6119331. On Point Realty, Inc.. Village Green - The Front Porch Is Ideal For Coffee In The Morning. MLS#8507599. Jar House Llc. Wonderful And Convenient Rockdale County Location, Not Far From Shopping, Recreational Facilities, Hospital And Schools. MLS#8505681. Bhgre Metro Brokers. 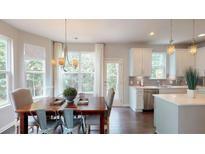 Travers Creek - Brand New Stainless Steel Appliances Granite Countertops In Kitchen MLS#6116729. Starlight Homes Georgia Realty Llc. 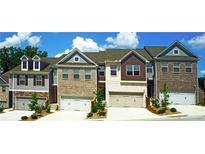 Westchester Lakes - Convenient To Shopping, Schools And I-20. MLS#8502405. Carter'S Galaxy Of Homes. February Closing Date. Please Not Rendering Picture. MLS#8498467. Silverstone Realty, Llc. February Closing Date. **Listing May Contain Stock Photos. MLS#8498115. Silverstone Realty, Llc. February Closing Date. **Listing May Contain Stock Photos. MLS#8496764. Silverstone Realty, Llc. Deer Run - Have Fha Appraisal In Hand. Priced Below Appraisal. MLS#8496663. Your Home Sold Guaranteed Rlty. Meadowbrook - Home Comes With A 30-Day Buyback Guarantee. Terms And Conditions Apply. MLS#8495473. Opendoor Brokerage Llc. Jetted Tub 230 Single Phase, 220 Amp, 2 Roll Up Doors,1 Garage Door,1 Single Man Door,1 Double Man Door. MLS#8495252. Lee Staples Realty, Inc..
Irwin Place - Home Needs Tlc, And Is Being Sold "As Is". MLS#8495094. Frazier Realty Services Inc..
Upgraded Master Bath Double Vanity And Tile Shower, Formal Living And Dining Room, Covered Porch And Patio, Hardwood Floors, Ceramic Tile And Carpet Throughout And More. **Listing May Contain Stock Photos. 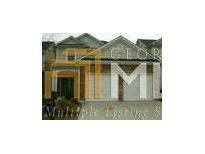 MLS#8494480. Silverstone Realty, Llc. Lowest Price Guaranteed. *These Condominiums Are Detached Homes* MLS#8493079. Wade Jurney Homes. Full Basement Is Finished, With A Family Room And Three Additional Bedrooms. MLS#8491977. Coldwell Banker Lake Country. Info Deemed Reliable But Not Guaranteed. MLS#6105275. Ray White Property Management. It Also Has A Picnic Table And Swing Great For Entertaining And Fishing!!! ! MLS#8488853. Keller Williams Realty Ame. Imagine Sipping Your Morning Coffee On The Back Deck As You Relax And Enjoy The Serene Views Of The Lake. MLS#8488599. Lifestyle Realty Development.